Platform For Artists has published an anthology with 100 writers across the country which was launched by Taapsee Pannu in Mumbai. Writers from 30 different cities have sent their poems to get published in the book and we are now conducting a city tour to promote these literature enthusiasts. 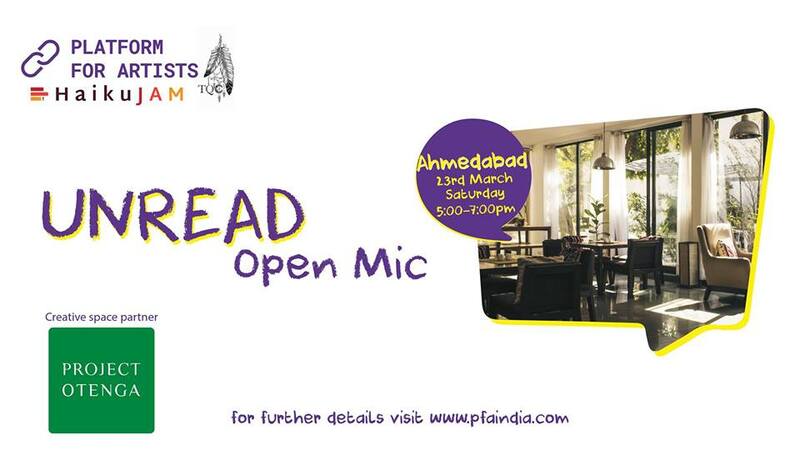 UNREAD Open mic event is a three-hour gathering of art enthusiasts where poets/writers, stand-up comedians, singers, musicians and even painters, sketchers, photographers will perform, showcase their work and share their story of creation. Here you will enjoy an evening full of art, creativity, and stories. You can also connect with like-minded people and share your experiences. You can join as a performer or an audience. There is no restriction of any kind to join us in this event. Register to know more details.